Beware! Avenir Crypto is an offshore broker! Your investment may be at risk. 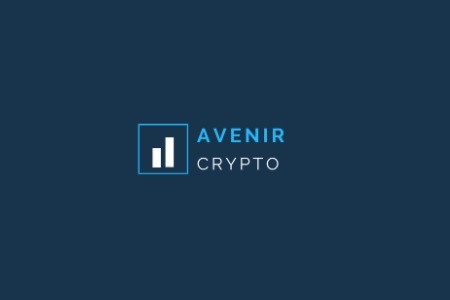 Avenir Crypto is an anonymous, unregulated website that claims to be a forex and CFD broker with a focus on the crypto currency market. However, Avenir Crypto has been blacklisted by the French supervisory authority and the Italian financial regulator – the Commissione Nazionale per le Società e la Borsa (CONSOB) for targeting customers in the European Union without proper authorization. Otherwise the broker says to be offering a choice of more than 200 assets including stocks, commodities, indices, currencies and crypto coins among which Bitcoin, Dash, Cardano, Ripple, Ethereum, Ethereum Classic, Litecoin, Trigger, Warpcoin, Bitcoin Cash, Qtum and Verge. All brokers offering financial services on regulated markets like the EU, the USA, Australia, Canada or Japan should be licensed by the respective financial authorities. In this case Avenir Crypto has been targeting customers in France and Italy without authorization and as we already noted, it was blacklisted by the Authorité des Marchés Financiers (AMF) in France and CONSOB in Italy. And besides, apart from the fact that Avenir Crypto is not licensed, they are virtually anonymous as no where on their website, not even in their Terms and Conditions, were we able to find the name of the company behind the whole operation. Have in mind that all dealings with unregulated brokers are extremely risky as most often such brokers are involved in scam. With properly regulated brokers on the other hand you can feel safe about your money, as they are accountable before the supervisory authorities and have to abide by strict rules. With official regulators like the AMF in France, CONSOB in Italy or the Financial Conduct Authority (FCA) in the UK you will even get an insurance on your trading account, which will be payed in the unlikely event your broker happens to be insolvent. For example with a FCA broker your insurance will cover up to 85 000 GBP of your funds. Bear in mind that in their Terms and Conditions Avenir Crypto reserves the right to introduce additional fees and charges and the right to change existing fees and charges at any time. Besides, there is a deposit and a withdraw commission, as well as a trade commission and an administrative fee of 5% or 25 USD in case the broker decides you do not hold some minimum required amount in your account, determined by their sole discretion. Needless to say, but such fees and conditions are highly unusual. And one final note, if you accept a trading bonus by Avenir Crypto in order to withdraw you will have to trade at least 1 standard lot or 100 000 USD for every 5 USD you have received as a bonus. Otherwise Avenir Crypto accepts credit card payments and payments with a bank wire transfer, but there is no information about their minimum deposit requirement. More and more often scammers hunt for victims in the social networks like Instagram and Facebook. And there if you get hooked and follow their add, you will come to one of the so called robo scam websites like Crypto Revolt and Bitcoin Evolution where you will be met by some “irresistible” offer for easy returns with a minimal investment and “no risk” at all. And all you will have to do in the beginning will be to leave your e-mail and phone in a simple registration form. Note, that if you agree to do that, you will actually be transferred to the web page of a unregulated scam broker, where finally you will be asked for your first deposit – about 250 USD or so. Take a note as well that in the beginning your trades will be astonishingly successful. That however will not be real. Your account will simply be manipulated with the intent that latter you will be more easily convinced to invest a larger amount. And you will be receiving phone calls as well – it will be your senior account manager, who will confidently try to convince you, that if you want to make some real cash you will surely have to invest a larger sum, like at least 10 000 USD. And most people do invest that kind of money without realizing they have been scammed until the moment they request a withdraw. Then it suddenly turns out they can not withdraw, because of some minimum trade volume requirement, they have agreed with without noticing, when they have accepted a trading bonus. The excuse might certainly be different, but the result in the end will always be the same. Scammers will cancel all your withdraw requests. Your only chance to get your deposit back is to file for a charge back with your credit card company. And if you have used VISA or MasterCard currently you will have 540 days to do that and that is good news. Also if somehow scammers have managed to get to your banking details like your credit card number or online banking password, immediately change your password and cancel you credit card. And finally do not accept any offers by the so called recovery agencies. They will simply charge you some fee in advance and you will end up even deeper into the red.